Suitability: Ceramic, porcelain, quarry & natural stone. 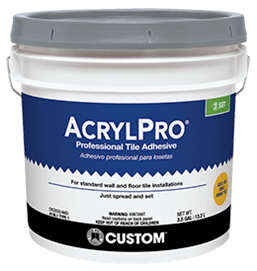 AcrylPro® Professional Ceramic Tile Adhesive is a professional formula adhesive with high bond strengths. 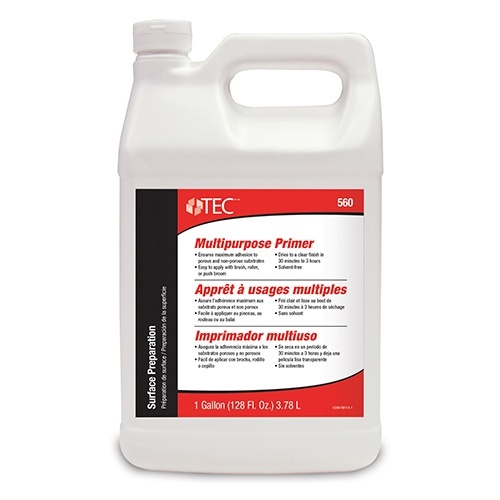 Ideal for small format ceramic, mosaic, porcelain and most gauged stone tile on walls or floors, AcrylPro may be used in areas with intermittent water exposure such as tub surrounds and shower walls. Recommended for tile up to 8″ (20 cm) on any side. 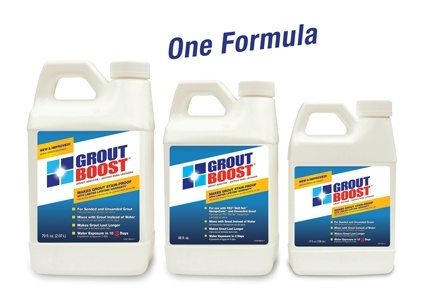 Can be used with tile up to 15″ (38 cm) on any side but dry time significantly increases. 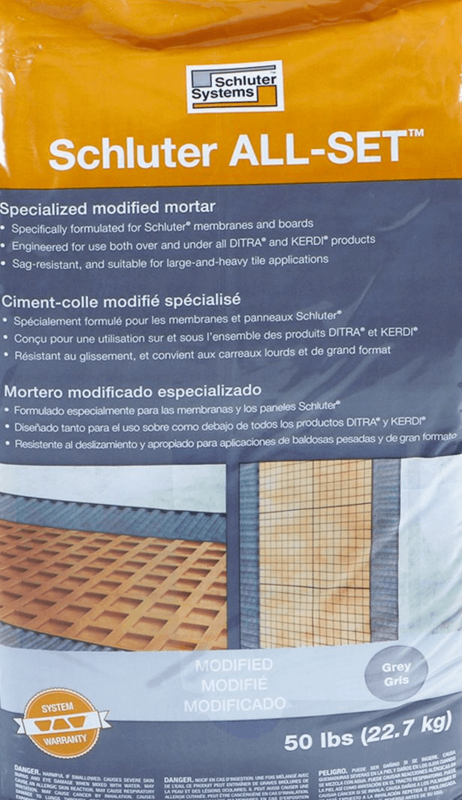 For tile with any side greater than 15″ (38.1 cm), CUSTOM recommends using a polymer modified cement mortar specifically designed for setting large format tile. Call Technical Services at 800-272-8786 for more information.